Learners, students and young people interested in science-related studies – do you need a bursary? Bursaries or scholarships are funds (money) given so that students can study. This is money that does not have to be paid back. Some bursaries/scholarships have a condition that the students must work for the company that provided the money, after they complete their studies. A loan is when you have to pay back the money that was provided for your studies. Often interest also has to be paid on a loan – this is like the price of borrowing the money. Who is given a bursary/scholarship? A bursary is given for a number of reasons. Often bursaries are given to top-performing high school students to allow them to study at a tertiary institution like a university or university of technology. Bursaries can also be given to students already at university who need help with money to study further. Information on various financial schemes (similar to bursaries) are included on this website. 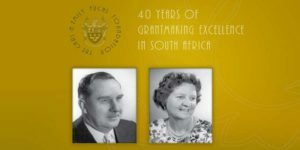 These consist of bursaries, scholarships, fellowships, studentships, etc. Interested in the sciences, engineering, medical sciences, industrial design or IT studies? You can apply to as many universities and bursaries as you wish! What do you need to study in the science, engineering, medicine and technology fields? Do you want to post the details of a bursary? Providers of bursaries can register and upload the bursaries that their organisation offers. These can be edited at any time.